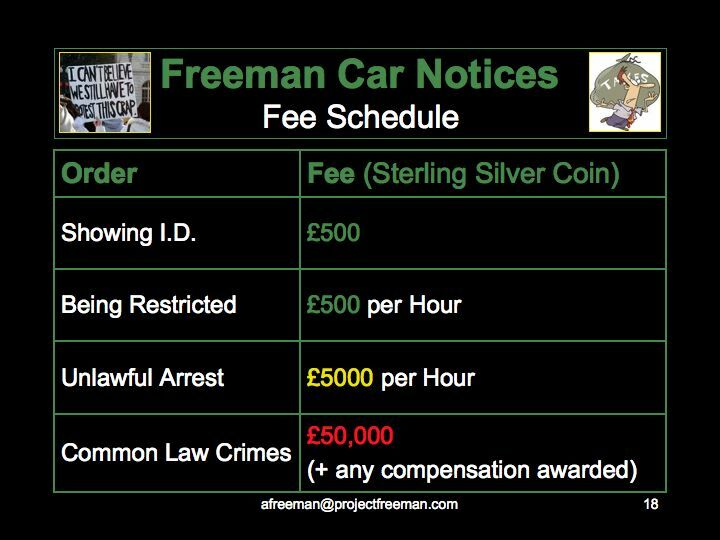 Why do we think we have to pay 'Car Tax'? 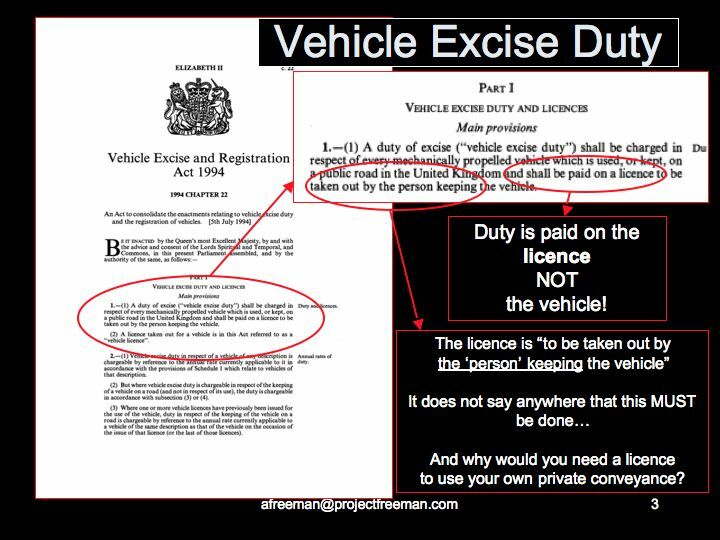 Most of us have never read the legislation applicable to this. 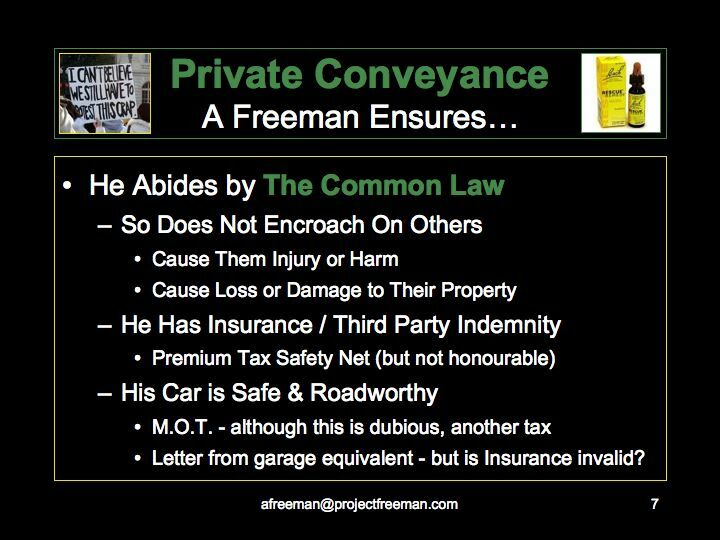 As we have seen, there are many types of 'Person' in Legalese. 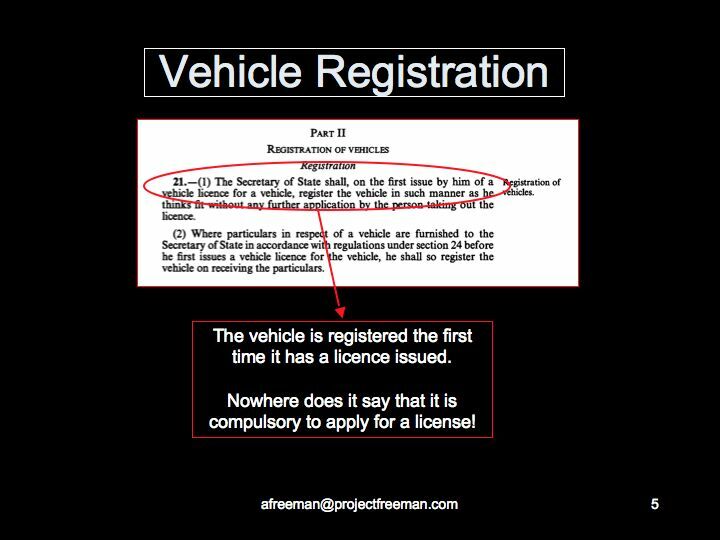 Our 'Legal Fiction' person is created via the registration of our birth, but are we obliged under law, or even under the civil 'Legal System' of Acts and Statutes to register our vehicles? 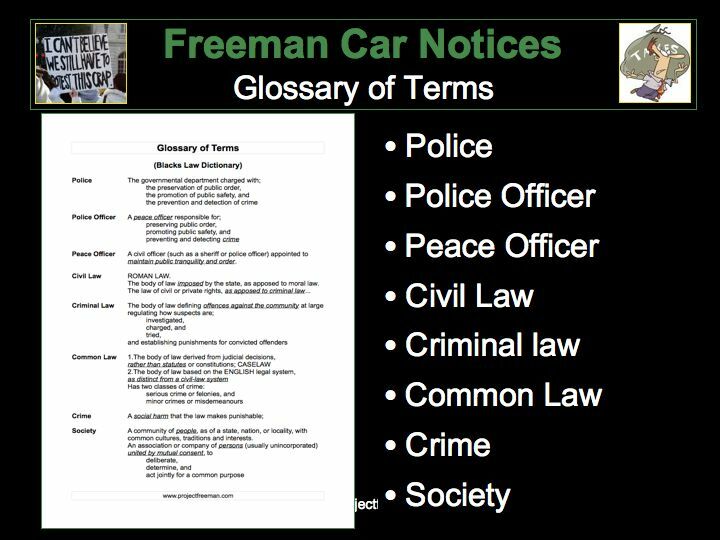 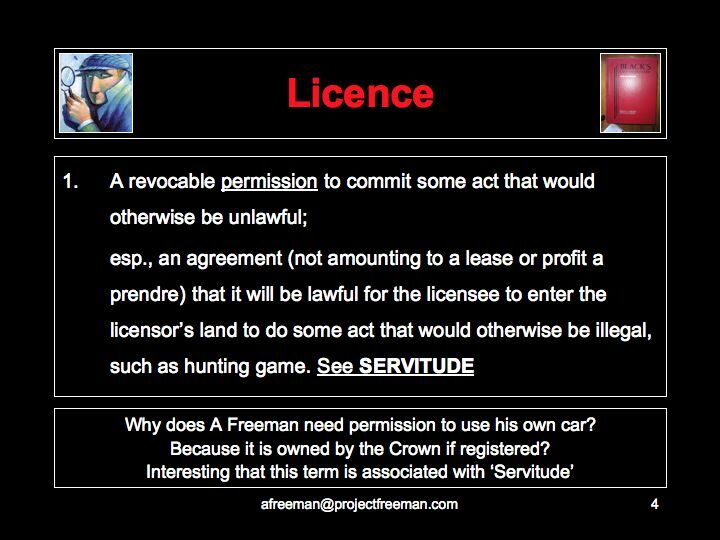 To answer this question 'A Freeman' researched the registration of vehicles process under the "Vehicle Excise and Registration Act (1994)"
If in fact 'The Crown' does own all the land and everything built upon that land, including the roads, they will charge the Subjects to use them. 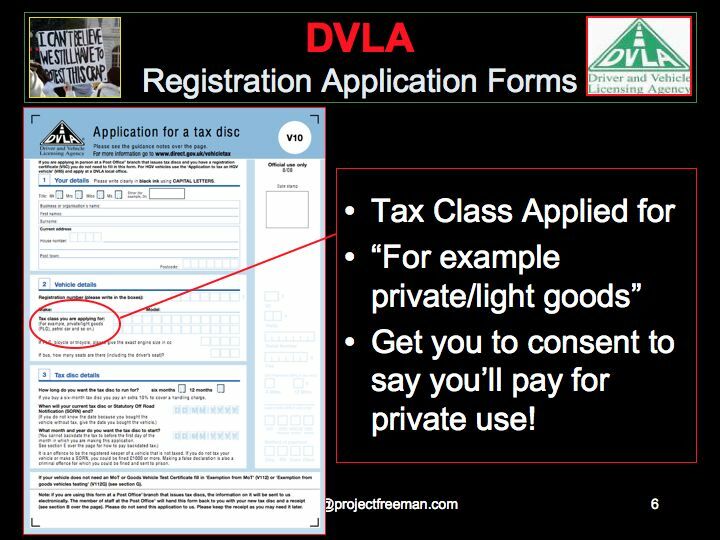 Not only that but we even volunteer to pay for private use by completing this form! 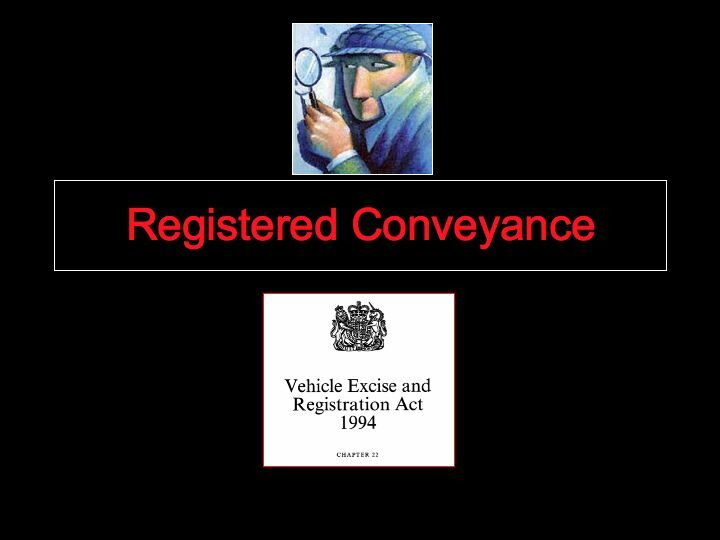 The constable is merely required to report to the DVLA the fact that he has witnessed a 'person' on the road without tax. 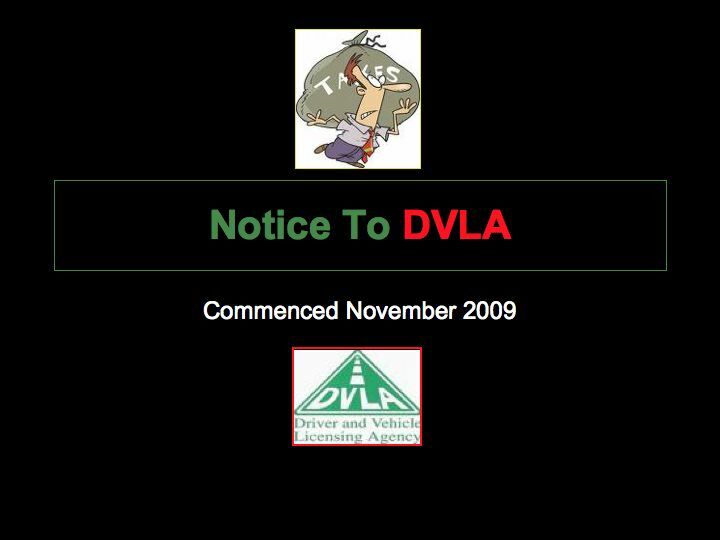 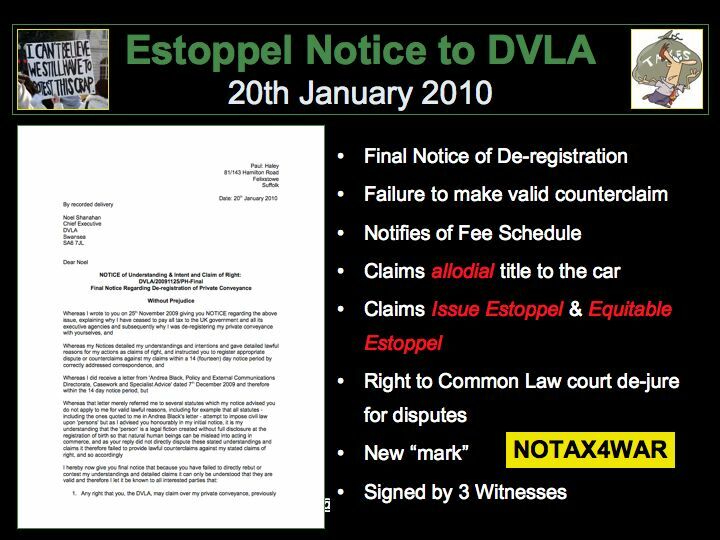 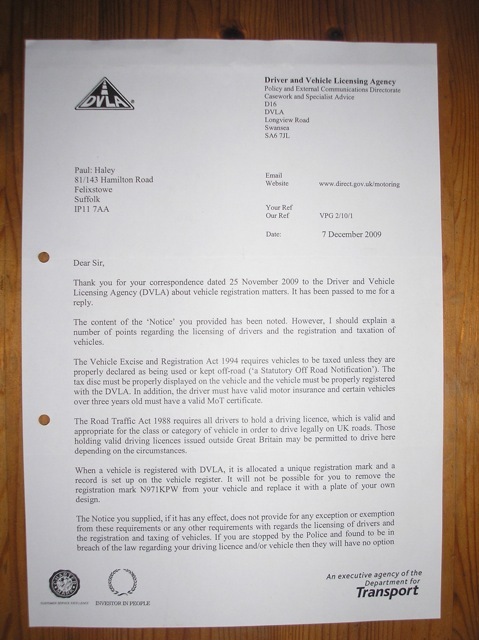 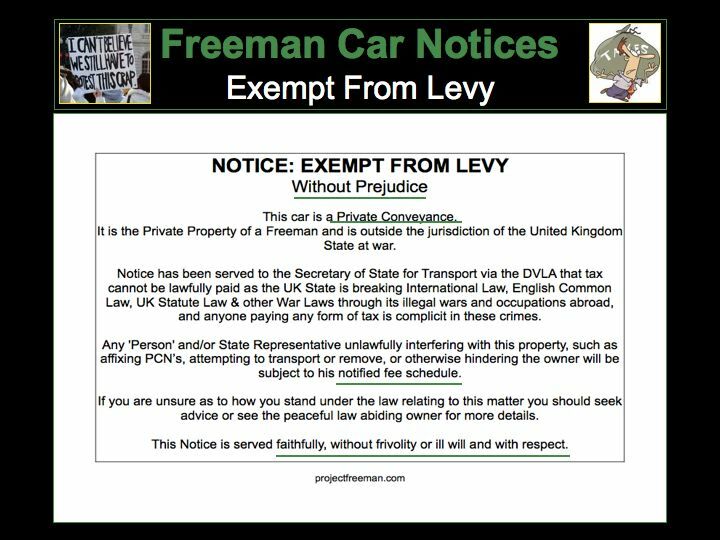 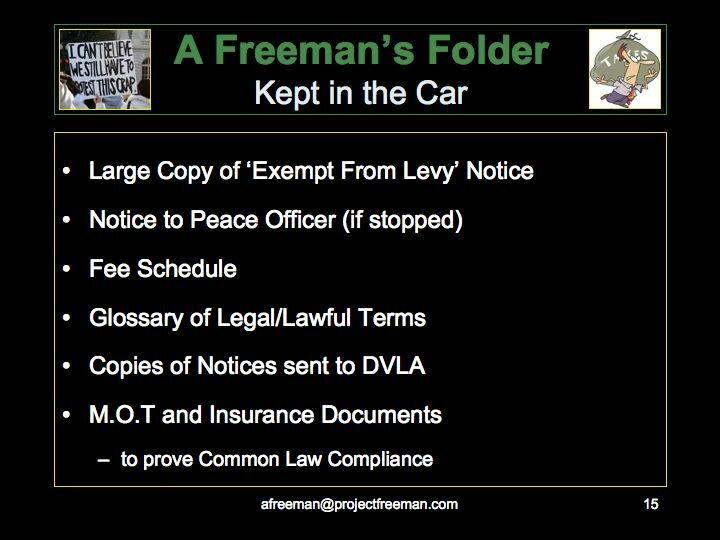 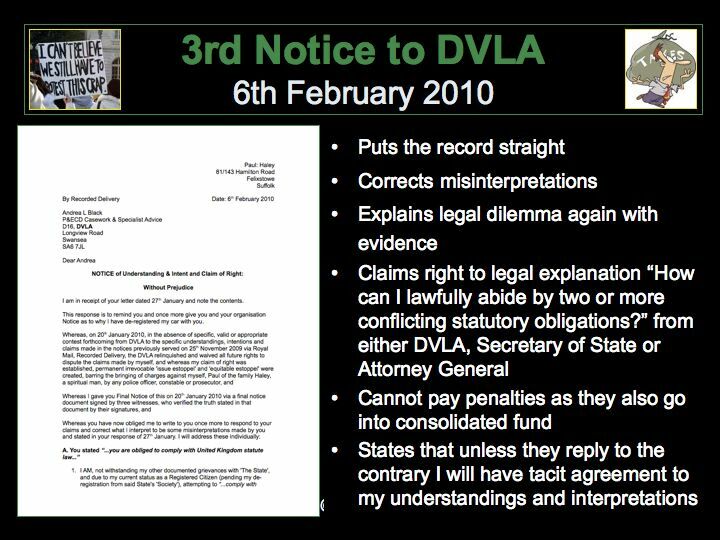 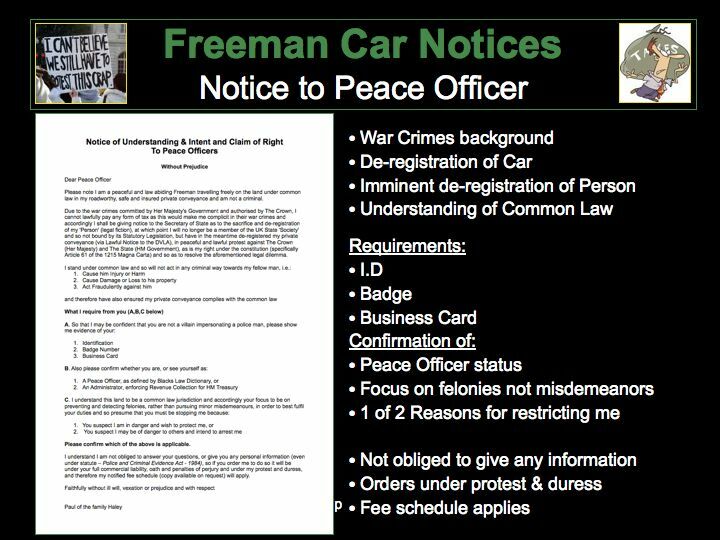 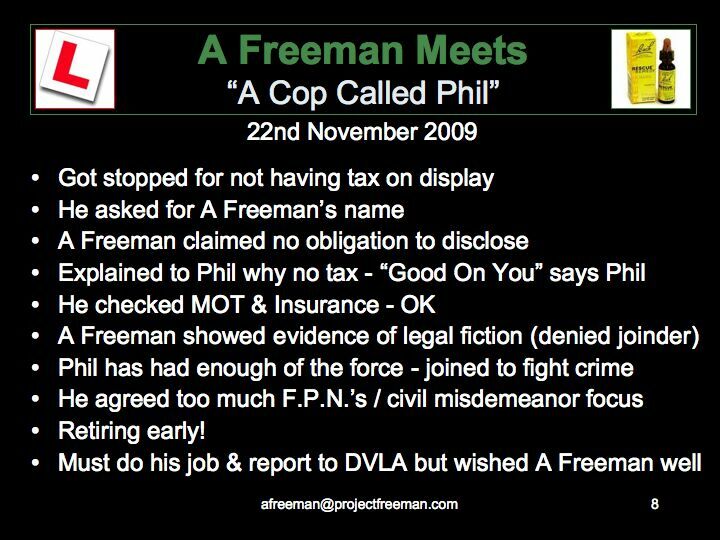 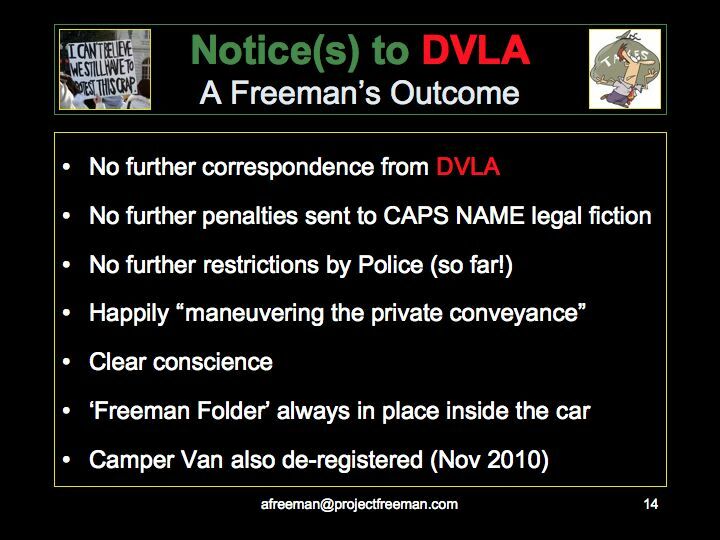 The DVLA follow the matter up but 'A Freeman' served honourable notice to the DVLA as to the reasons why he could not pay tax. 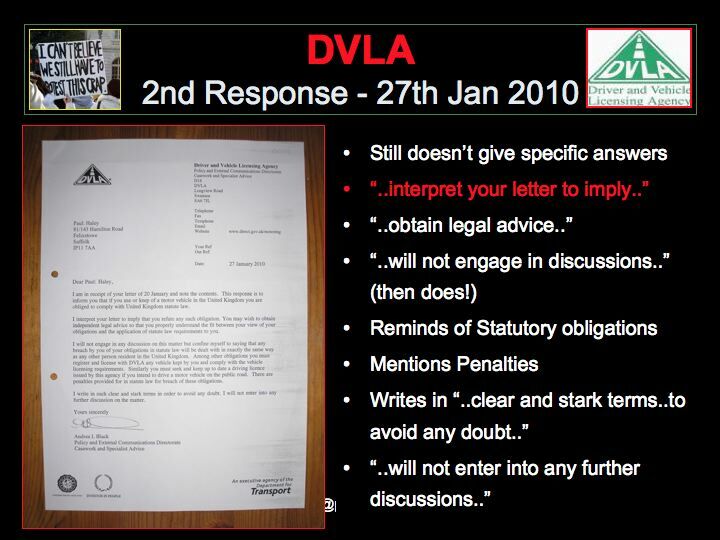 Like the Notice to HMRC, it was addressed to The Chief Executive. 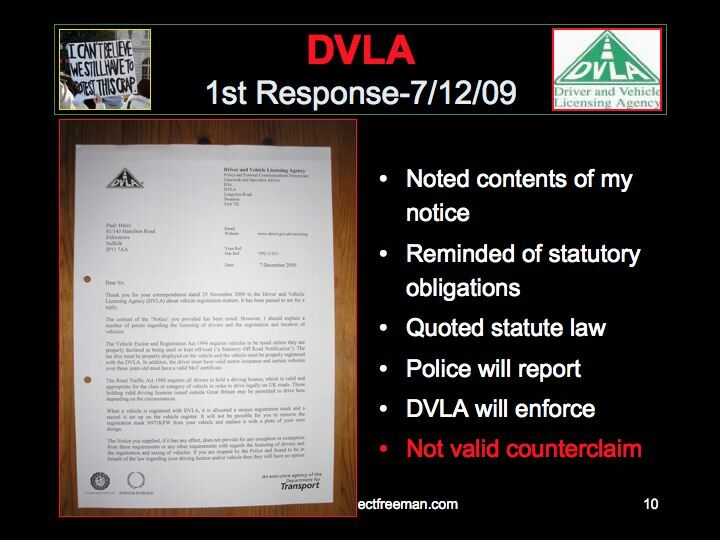 This is important, it ensures some action will be taken. 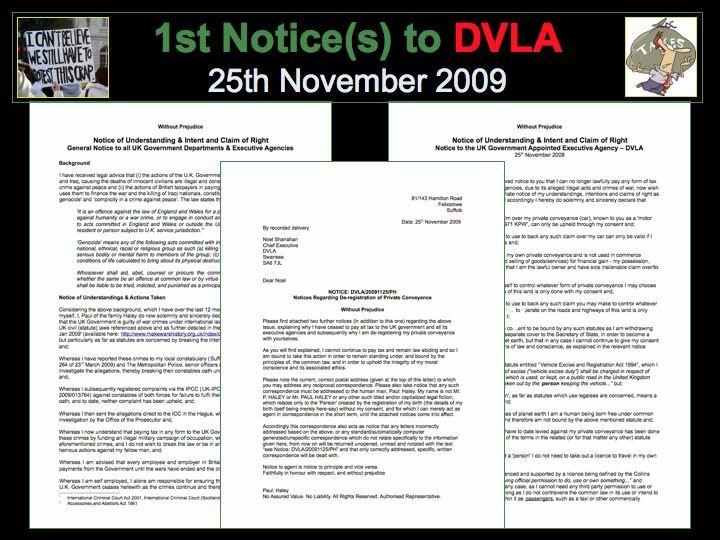 Notice Period: 14 Days (Reasonable). 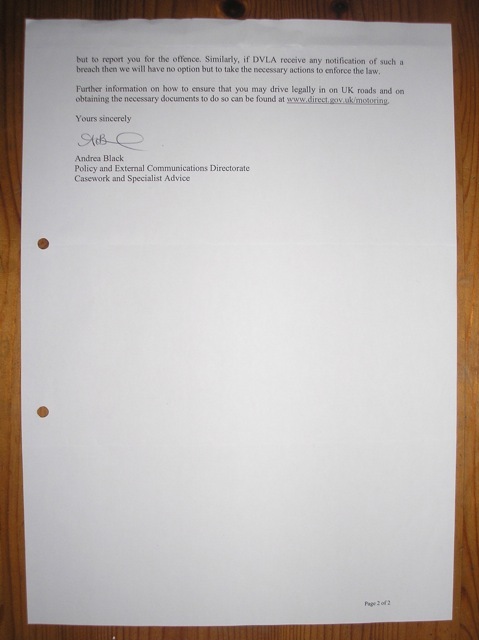 Here is the full letter Page 1. 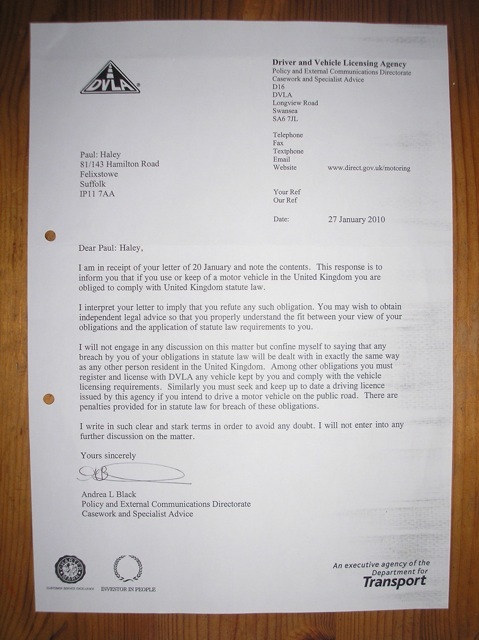 / Page 2.